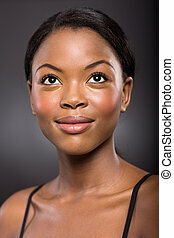 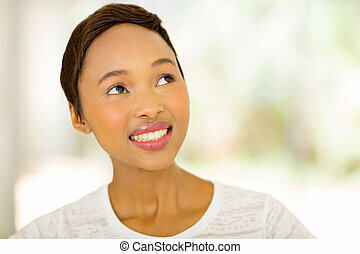 Beautiful young african woman looking up. 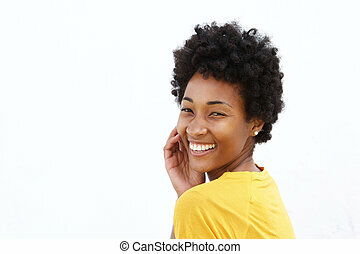 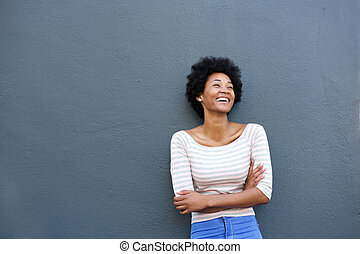 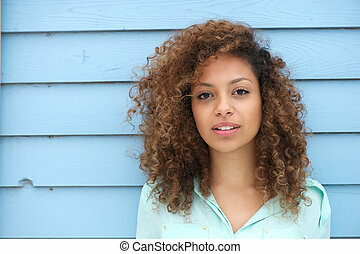 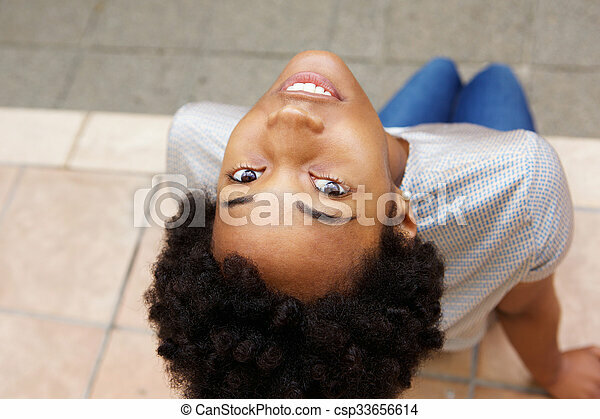 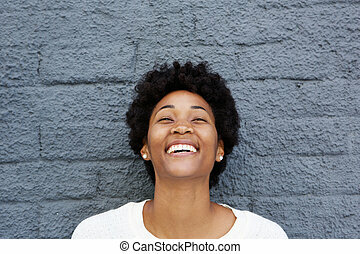 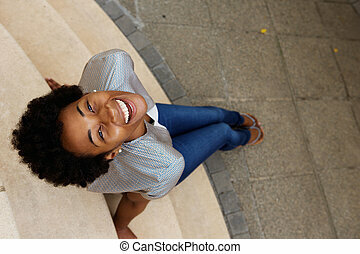 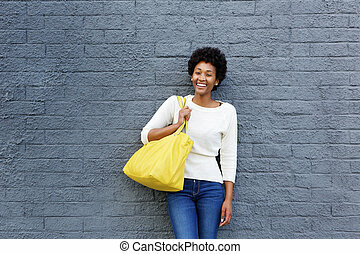 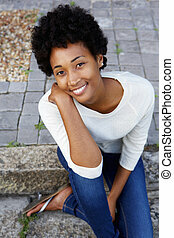 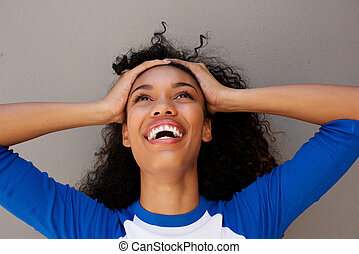 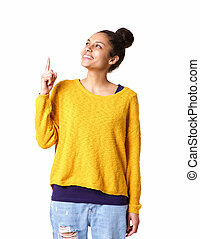 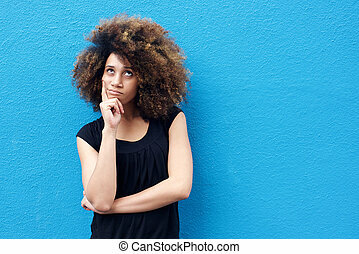 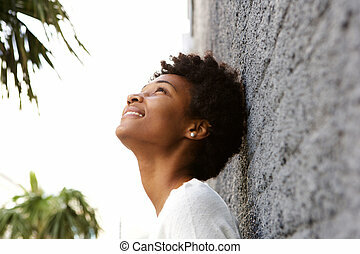 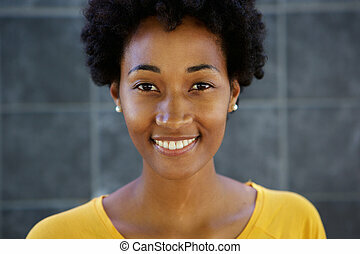 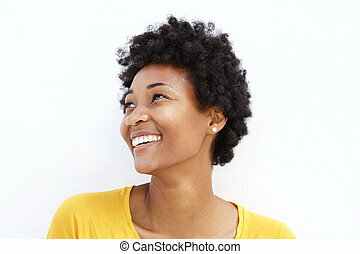 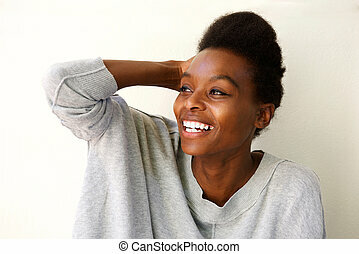 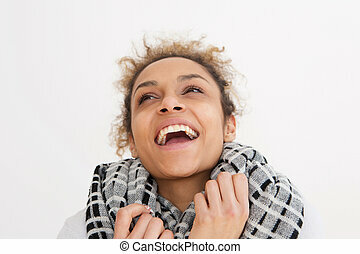 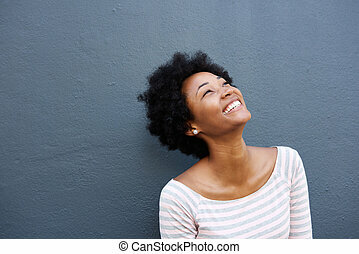 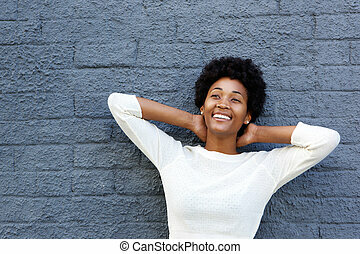 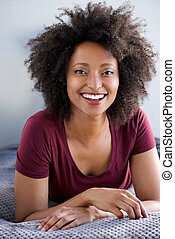 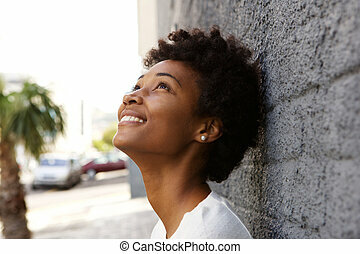 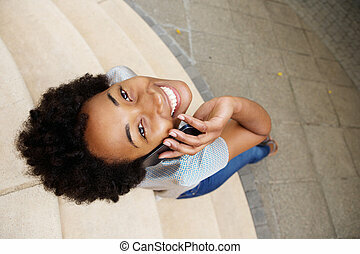 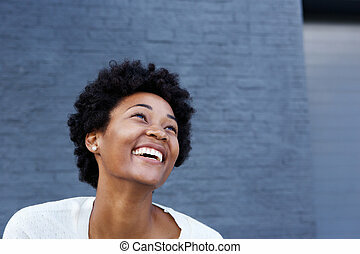 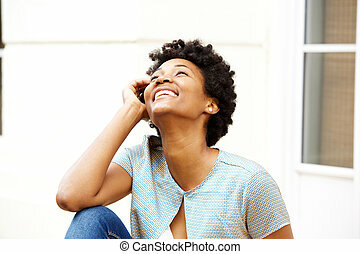 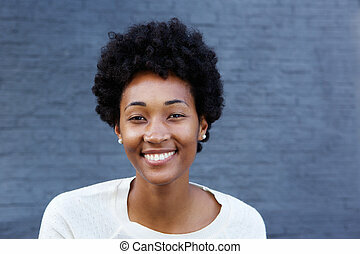 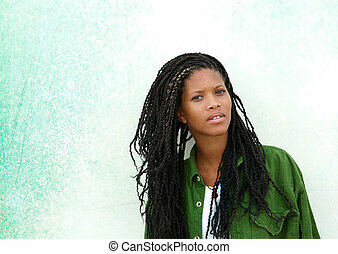 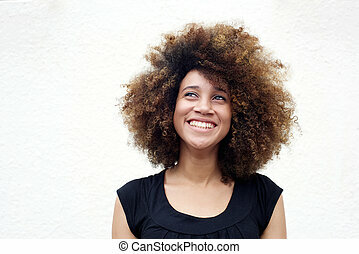 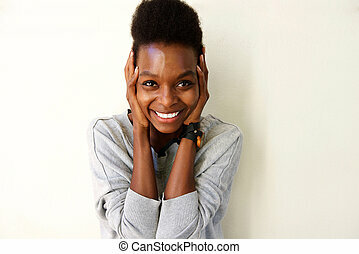 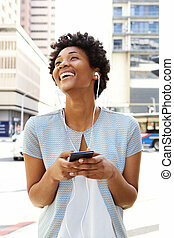 High angle view of beautiful young african woman sitting and looking up. 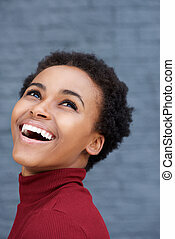 Beautiful young woman looking up.